Why did LIC buy stocks worth Rs 3000 cr in HAL, a company nobody wanted to invest in? The government of India is set to garner more than Rs 72,000 crore through disinvestment in the current fiscal year that ends on the 31 March. The amount would be the highest ever and for the first time in seven years, the government's targets have been met. 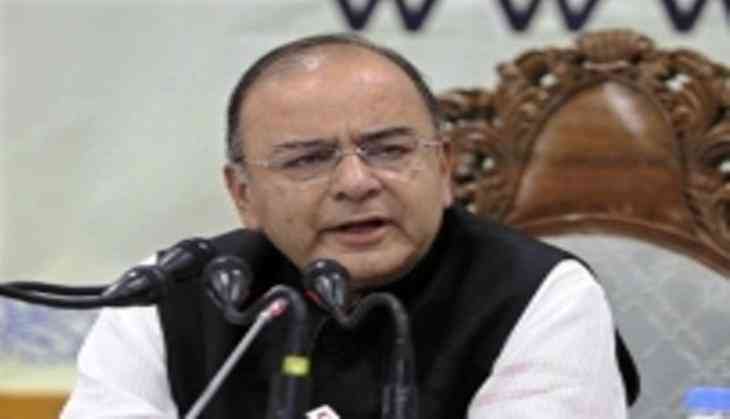 In the Budget statement of 2017-18 presented last year, Finance Minister Arun Jaitley had set a target of raising Rs 72,500 crore from disinvestment proceedings. The purpose of disinvestment in government owned companies is to increase transparency in entities through private sector participation and to help reduce the Centre's fiscal deficit. It is no surprise that the highest ever fund-raising through disinvestment in the current fiscal proved to be face saver for Jaitley. Without disinvestment funds, he would have not been able to contain fiscal deficit at 3.3% of the GDP. While the disinvestment strategy looks like a game-changer in a year of lowers revenue collections under the Goods and Services Tax, a reading into the fine print of this game suggest that it is the public sector money that is changing hands in this big game share sale. Take for example the case of country's largest defence public sector undertaking, Hindustan Aeronautics (HAL). Nobody from the retail or private sector was interested in investing in its IPO launched earlier this week. Any IPO requires at least 98% subscription. To save government’s face, India's biggest life insurance company, LIC made a Rs 30-billion bid to help the defence firm dilute 10% of its stake. According to Business Standard the government could raise around Rs 40 billion from the IPO if the issue is priced at the lower end of the Rs 1,215-1,240 band. Imagine a company that no mutual fund, asset/wealth management company or corporate house wants to invest in. But the government-owned Life Insurance Corporation sees so much value in it that it purchases stocks worth Rs 30 billion (Rs 3000 crore). In the same financial year, LIC had purchased shares worth Rs18,000 crore in companies where the government sold part of its holdings - including Rs12,000 crore in the IPO of government owned General Insurance Corp and New India Assurance Co, according to Mint. LIC for long has been the milking cow for successive governments to check their fiscal deficits. In the past, LIC was used to bail out the IPO of Coal India Ltd. In 2013, the LIC acquired as much as 70.57% of the total share sale by Steel Authority of India (SAIL) amounting to Rs 1,069 crore of the total Rs.1,517 crore, raised by the government by divesting 5.82% of its stake in the company. Similarly in 2012, LIC paid Rs 11,069.6 crore to purchase 377.1 million, or 88.3%, of the shares offered in the auction, by India's largest oil explorer, ONGC. Here again, without LIC's last minute pitch, government's plans to sell ONGC stake through auction route would have to be called off as per the SEBI rules. Ironically, the same ONGC has now been asked to purchase government’s 51.11% stake in another oil sector company Hindustan Petroleum Corporation. Media reports suggest that ONGC may shell out around Rs 45,000 crore, which would be 45% higher than market value of the government’s stake in the oil retailer. But this story has one more interesting aspect. The same ONGC, is said to be exploring the possibilities to sell its shareholding in another government owned oil sector company IOC to institutional investors that include LIC. ONGC holds 13.77% stake in IOC. During 2016-17, LIC invested Rs 2.6 lakh crore in Central and state government securities with an average annualised yield of 7.65% during the year,” LIC sources were quoted by PTI. One can easily see the role of one large government-owned institutional investor, LIC, in keeping the fiscal deficit of the government low. In this process those who purchase LIC's life insurance policies have to settle down with lower returns. During 2016-17, LIC invested Rs 2.6 lakh crore in Central and state government securities with an average annualised yield of 7.65% during the year,” LIC sources were quoted by PTI. As a financial journalist, his interface with the two dominant 'isms'- Marxism and Capitalism- has made him realise that an ideal economic order of the world would lie somewhere between the two. 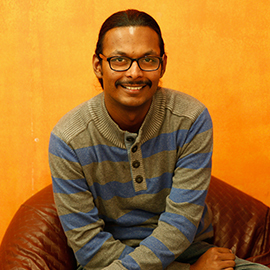 Associate Editor at Catch, Neeraj writes on everything related to business and the economy. He has been associated with Businessworld, DNA and Business Standard in the past. When not thinking about stories, he is busy playing with his pet dog, watching old Hindi movies or searching through the Vividh Bharti station on his Philips radio transistor. TWEET THIS Why did LIC buy stocks worth Rs 3000 cr in HAL, a company nobody wanted to invest in?